At the wedding the next day, Claudio denounces Hero before the stunned guests and storms off with Don Pedro. Hero faints. Her humiliated father Leonato expresses the wish that she would die. The presiding friar intervenes, believing Hero to be innocent. He suggests the family must fake Hero's death in order to extract the truth and Claudio's remorse. 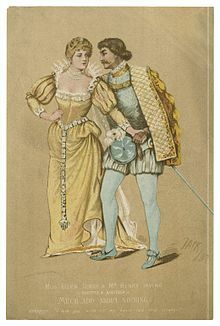 Prompted by the day's harrowing events, Benedick and Beatrice confess their love for each other. Beatrice then asks Benedick to slay Claudio as proof of his devotion, since he has slandered her kinswoman. Benedick is horrified and at first denies her request. Leonato and his brother Antonio blame Claudio for Hero's apparent death and challenge him to a duel. Benedick then does the same. Benedick is following the commands of Beatrice and is one of the few who believe Hero. Luckily, on the night of Don John's treachery, the local Watch apprehended Borachio and his ally Conrade. Despite the comic ineptness of the Watch (headed by constable Dogberry, a master of malapropisms), they have overheard the duo discussing their evil plans. The Watch arrest the villains and eventually obtain a confession, informing Leonato of Hero's innocence. Though Don John has fled the city, a force is sent to capture him. 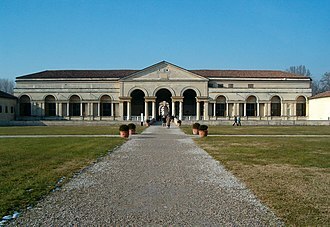 Claudio, stricken with remorse at Hero's supposed death, agrees to her father's demand that he marry Antonio's daughter, "almost the copy of my child that's dead" and carry on the family name. In 1973 a Soviet film adaptation was directed by Samson Samsonov which starred Galina Jovovich and Konstantin Raikin. 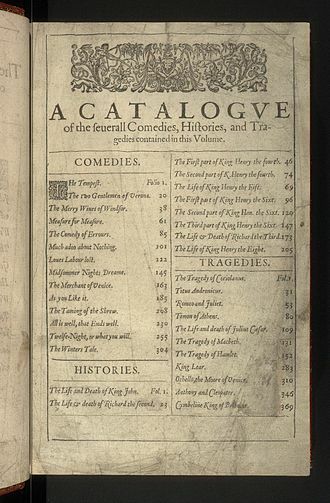 ^ See Stephen Greenblatt's introduction to Much Ado about Nothing in The Norton Shakespeare (W. W. Norton & Company, 1997 ISBN 0-393-97087-6) at p. 1383. 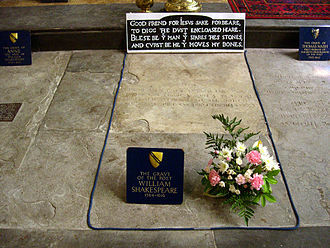 ^ F. E. Halliday, A Shakespeare Companion 1564–1964, Baltimore, Penguin, 1964; pp. 326–7. ^ Simonson, Robert. "Cast Set for Gary Griffin-Directed The Boys Are Coming Home, at Northwestern's American Music Theatre Project" Archived 5 June 2011 at the Wayback Machine.. 28 May 2008. "Hero. The quiet daughter of Leonato and cousin of the gay Beatrice . . .". New International Encyclopedia. 1905. Ludovico Ariosto was an Italian poet. He is best known as the author of the romance epic Orlando Furioso, Ariosto composed the poem in the ottava rima rhyme scheme and introduced narrative commentary throughout the work. Ariosto coined the term humanism for choosing to focus upon the strengths and potential of humanity, Ariosto was born in Reggio nell’Emilia, where his father Niccolò Ariosto was commander of the citadel. He was the oldest of 10 children and was seen as the successor to the position of his family. From his earliest years, Ludovico was very interested in poetry, after five years of law, Ariosto was allowed to read classics under Gregorio da Spoleto. Ariostos studies of Greek and Latin literature were cut short by Spoletos move to France to tutor Francesco Sforza, shortly after this, Ariostos father died. 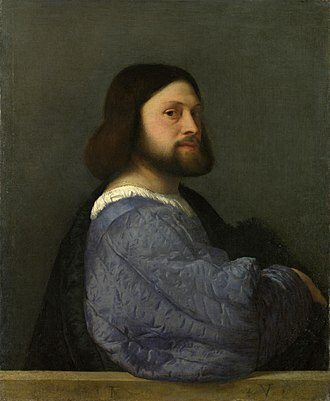 After the death of his father, Ludovico Ariosto was compelled to forgo his literary occupations and take care of his family, despite his family obligations, Ariosto managed to write some comedies in prose as well as lyrical pieces. Some of these attracted the notice of Cardinal Ippolito dEste, who took the poet under his patronage. Este compensated Ariosto poorly for his efforts, the reward he gave the poet for Orlando Furioso, dedicated to him, was the question, Where did you find so many stories. Ludovico Ariosto and Leonardo da Vinci shared a patron in Cardinal Ippolito dEstes older sister the Marchioness Isabella d’Este, Isabella d’Este appears in Ludovico’s masterpiece, Orlando Furioso. She appears in Leonardo’s, “Sketch for a Portrait of Isabella d’Este, “A statue no less jocund, no less bright, / Succeeds, and on the writing is impressed, / Lo. ”The cardinal went to Hungary in 1518, and wished Ariosto to accompany him. The poet excused himself, pleading ill health, his love of study, and his excuses were not well-received, and he was denied even an interview. Ariosto and dEste got into an argument, and Ariosto was promptly dismissed from service. The cardinals brother, duke of Ferrara, now took Ariosto under his patronage, by then, Ariosto had already distinguished himself as a diplomat, chiefly on the occasion of two visits to Rome as ambassador to Pope Julius II. Sir Herbert Beerbohm Tree was an English actor and theatre manager. Tree began performing in the 1870s, by 1887, he was managing the Haymarket Theatre, winning praise for adventurous programming and lavish productions, and starring in many of its productions. 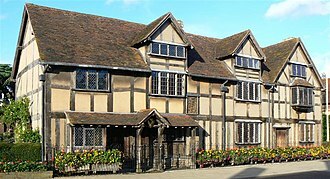 In 1899, he helped fund the rebuilding, and became manager, again, he promoted a mix of Shakespeare and classic plays with new works and adaptations of popular novels, giving them spectacular productions in this large house, and often playing leading roles. His wife, actress Helen Maud Holt, often played opposite him, although Tree was regarded as a versatile and skilled actor, particularly in character roles, by his years, his technique was seen as mannered and old fashioned. He founded the Royal Academy of Dramatic Art in 1904 and was knighted, for his contributions to theatre and his famous family includes his siblings, explorer Julius Beerbohm, author Constance Beerbohm and half-brother caricaturist Max Beerbohm. His daughters were Viola, an actress and Iris, a poet, a grandson was the actor Oliver Reed. Born in Kensington, London as Herbert Draper Beerbohm, Tree was the son and second child of Julius Ewald Edward Beerbohm. The senior Beerbohm was of Dutch and German origin, he had come to England in about 1830, Trees younger brother was the author and explorer Julius Beerbohm, and his sister was author Constance Beerbohm. A younger half-brother was the parodist and caricaturist Max Beerbohm, born from their fathers second marriage, Max jokingly claimed that Herbert added the Tree to his name because it was easier for audiences than shouting Beerbohm. 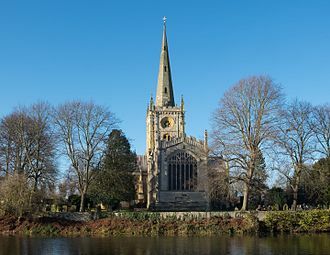 The latter part of his surname, bohm, is north German dialect for tree, Trees early education included Mrs Adamss Preparatory School at Frant, Dr Stones school in Kings Square and Westbourne collegiate school in Westbourne Grove, London. After these, he attended his fathers alma mater, Schnepfeuthal College in Thuringia, upon his return to England, he began performing with amateur troupes, eventually using the name Herbert Beerbohm Tree, while working in his fathers business. In 1878 Tree played Grimaldi in Dion Boucicaults The Life of an Actress at the Globe Theatre, shortly after, for the next six years, he performed mainly on tour in the British provinces, playing character roles. He made his London debut late in 1878 at the Olympic Theatre under the management of Henry Neville and his first real success was as the elderly Marquis de Pontsablé in Madame Favart, in which he toured towards the end of 1879. 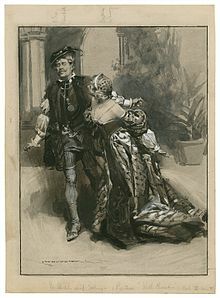 Another London engagement was as Prince Maleotti in a revival of Forget-me-Not at the Prince of Waless Theatre in 1880 and his first London success came in 1884 as the Rev. Robert Spalding in Charles Hawtreys adaptation of The Private Secretary. 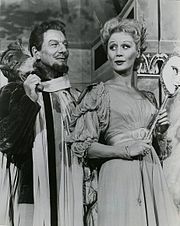 Tree embellished the comic elements of the role, which added to the popularity of the play and his next role was Paolo Marcari in Called Back by Hugh Conway. The contrast between this dashing Italian spy and his timid parson in Hawtreys play, showed his versatility as a character actor, other appearances over the next two years included roles in revivals of A. W.
Winifred Emery, born Maud Isabel Emery, was an English actress and actor-manager of the late 19th and early 20th centuries. She was the wife of the actor Cyril Maude, born into a family of actors, Emery began acting as a child. Her career grew through the 1880s and 1890s as she played leading roles in the West End of London, after a period away from the stage, she returned with leading roles in the company of Herbert Beerbohm Tree at His Majestys Theatre. She continued to act steadily in her own touring company with her husband. Emery was born in Manchester, the daughter of Samuel Anderson Emery and granddaughter of John Emery and her first stage appearance was in 1870, aged 8, in J. B. Buckstones The Green Bushes at the Alexandra Theatre in Liverpool and her first London appearance was on 23 December 1874 when she played Happy New Year in the pantomime Beauty and the Beast at the Princesss Theatre. In 1879 she joined Marie Littons company before appearing with Wilson Barrett at the Grand Theatre in Leeds and she moved with Barrett to the Court Theatre in London in October 1879. There she was first noticed by the critics when she appeared in the one-act play A Clerical Error, Emery appeared in A Bridal Tour at the Haymarket Theatre in August 1880, and performed at the St Jamess Theatre with Sir John Hare, William Hunter Kendal and Madge Kendal. 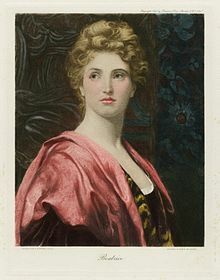 In July 1881 she joined the company of Henry Irving at the Lyceum Theatre and she played at Tooles Theatre and at the Vaudeville Theatre with Thomas Thorne in The Rivals. In 1884 she became the understudy for Ellen Terry at the Lyceum Theatre and toured the United States with Henry Irving, playing in Twelfth Night, Much Ado about Nothing and The Merchant of Venice. Also for Irving, in October 1885 Emery played the role in Olivia by W. G. Wills. Emery married the actor Cyril Maude on 28 April 1888 at Kensington Register Office and she next appeared at the Vaudeville Theatre and, for Augustus Harris, at the Theatre Royal, Drury Lane. Returning to the Vaudeville Theatre in February 1890, she played the role in Clarissa. In the same year, and at the theatre, she played leading roles in The School for Scandal and She Stoops to Conquer. The history of Sicily has been influenced by numerous ethnic groups. The Kingdom was founded in 1130 by Roger II, belonging to the Siculo-Norman family of Hauteville, during this period, Sicily was prosperous and politically powerful, becoming one of the wealthiest states in all of Europe. As a result of the succession, the Kingdom passed into the hands of the Hohenstaufen. At the end of the 13th century, with the War of the Sicilian Vespers between the crowns of Anjou and Aragon, the passed to the latter. In the following centuries the Kingdom entered into the union with the Spaniard and Bourbon crowns. 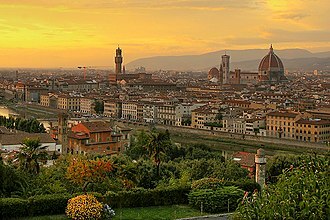 Although today part of the Republic of Italy, it has its own distinct culture, Sicily is both the largest region of the modern state of Italy and the largest island in the Mediterranean Sea. Its central location and natural resources ensured that it has considered a crucial strategic location due in large part to its importance for Mediterranean trade routes. For example, with Cicero and al-Idrisi describing respectively Syracuse and Palermo as the greatest and most beautiful cities of the Hellenic World, at times, the island has been at the heart of great civilizations, at other times it has been nothing more than a colonial backwater. Its fortunes have often waxed and waned depending on events out of its control, in earlier times a magnet for immigrants, in times a land of emigrants. See also, Prehistory of Sicily The indigenous peoples of Sicily, long absorbed into the population, were known to ancient Greek writers as the Elymians, the Sicani. It is possible, that the Sicani were originally an Iberian tribe, the Elymi, may have distant origins from outside Italy, in the Aegean Sea area. The recent discoveries of dolmens dating to the half of the third millennium BC. It is a fact that this region went through quite an intricate prehistory. Complex urban settlements become increasingly evident from around 1300 BC, from the 11th century BC, Phoenicians begin to settle in western Sicily, having already started colonies on the nearby parts of North Africa. Within a century, we find major Phoenician settlements at Soloeis, present day Palermo, as Phoenician Carthage grew in power, these settlements came under its direct control. Orlando Furioso is an Italian epic poem by Ludovico Ariosto which has exerted a wide influence on culture. The earliest version appeared in 1516, although the poem was not published in its form until 1532. Orlando Furioso is a continuation of Matteo Maria Boiardos unfinished romance Orlando Innamorato, in its historical setting and characters, it shares some features with the Old French Chanson de Roland of the eleventh century, which tells of the death of Roland. The story is a romance which stemmed from a tradition beginning in the late Middle Ages and continuing in popularity in the 16th century. Orlando is the Christian knight known in French as Roland, the action takes place against the background of the war between Charlemagnes Christian paladins and the Saracen army that has invaded Europe and is attempting to overthrow the Christian empire. The poem is about war and love and the ideal of chivalry. It mixes realism and fantasy and tragedy, the stage is the entire world, plus a trip to the moon. The poem is divided into forty-six cantos, each containing a number of eight-line stanzas in ottava rima. Ottava rima had been used in previous Italian romantic epics, including Luigi Pulcis Morgante, Ariostos work is 38,736 lines long in total, making it one of the longest poems in European literature. Ariosto began working on the poem around 1506, when he was 32, the first edition of the poem, in 40 cantos, was published in Ferrara in April 1516 and dedicated to the poets patron Ippolito dEste. A second edition appeared in 1521 with minor revisions, Ariosto continued to write more material for the poem and in the 1520s he produced five more cantos, marking a further development of his poetry, which he decided not to include in the final edition. They were published after his death by his illegitimate son Virginio under the title Cinque canti and are regarded by some modern critics. The third and final version of Orlando Furioso, containing 46 cantos, Ariosto had sought stylistic advice from the humanist Pietro Bembo to give his verse the last degree of polish and this is the version known to posterity. Thereafter, he claimed the island, though his power was restricted to the peninsular possessions of the kingdom, with his capital at Naples. Charles was the child and youngest son of Louis VIII of France and Blanche of Castile. He conquered the Kingdom of Sicily from the Hohenstaufen and acquired lands in the eastern Mediterranean, the War of the Sicilian Vespers forced him to abandon his plans to reassemble the Latin Empire. By marriage to Beatrice of Provence, heiress of Raymond Berengar IV of Provence, he was Count of Provence, in 1247, his brother Louis IX made him Count of Anjou and Maine, as appanages of the French crown. By conquest and self-proclamation, he became King of Albania in 1272, by the testament of William II of Villehardouin, he inherited the Principality of Achaea in 1278. 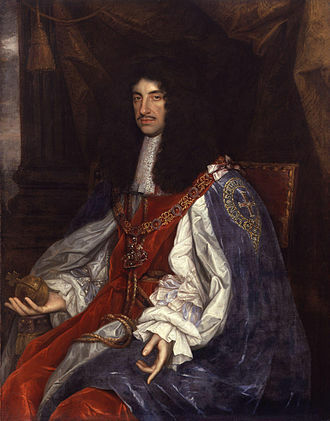 Charles was born in March 1227, four months after the death of his father, like his immediate older brother, Philip Dagobert, he did not receive a county as appanage, as had their older brothers. In 1232, his brothers Philip Dagobert and John, Count of Anjou and Maine, Charles became the next in line to receive the Counties, but was formally invested only in 1247. The affection of his mother Blanche seems largely to have bestowed upon his brother Louis. The self-reliance this engendered in Charles may account for the drive, upon his accession as Count of Provence and Forcalquier in 1246, Charles rapidly found himself in difficulties. Furthermore, while Provence was technically a part of the Burgundy and hence of the Holy Roman Empire, recent counts had governed with a light hand, and the nobilities and cities had enjoyed great liberties. Three cities, Marseille and Avignon were Imperial cities technically separate from the county. In 1247, while Charles was in France to receive the counties of Anjou and Maine, the local nobility joined with Beatrice, unfortunately for Charles, he had promised to join his brother on the Seventh Crusade. For the time being, Charles compromised with Beatrice, allowing her to have Forcalquier, rich Provence provided the funds that supported his wider career. His rights as landlord were, on the whole, of recent establishment, from the Church, unlike his brothers in the north, he received virtually nothing. Frederick V was, as the son and heir of Frederick IV, Elector Palatine, the Elector of the Rhine Palatinate in the Holy Roman Empire upon his fathers death in 1610. This defeat was followed by an Imperial invasion of Fredericks Palatinate lands and he was forced to flee to Holland in 1622 and he lived the rest of his life in exile with his wife and family at the Hague. Frederick was born at the Jagdschloss Deinschwang near Amberg in the Upper Palatinate and he was the son of Frederick IV and of Louise Juliana of Orange-Nassau, the daughter of William the Silent and Charlotte de Bourbon-Montpensier. An intellectual, a mystic, and a Calvinist, he succeeded his father as Prince-Elector of the Rhenish Palatinate in 1610 and he was responsible for the construction of the famous Hortus Palatinus gardens in Heidelberg. In 1618 the largely Protestant estates of Bohemia rebelled against their Catholic King Ferdinand, Frederick was asked to assume the crown of Bohemia. He accepted the offer and was crowned on 4 November 1619, James opposed the takeover of Bohemia from the Habsburgs and Fredericks allies in the Protestant Union failed to support him militarily by signing the Treaty of Ulm. His brief reign as King of Bohemia ended with his defeat at the Battle of White Mountain on 8 November 1620 – a year and four days after his coronation. After this battle, the Imperial forces invaded Fredericks Palatine lands and he had to flee to his uncle Prince Maurice, an Imperial edict formally deprived him of the Palatinate in 1623. He lived the rest of his life in exile with his wife and family, mostly at The Hague and his eldest surviving son Charles I Louis, Elector Palatine returned to power in 1648 with the end of the war. His daughter Princess Sophia was eventually named heiress presumptive to the British throne, Frederick was born on 26 August 1596 at the Jagdschloss Deinschwang near Amberg in the Upper Palatinate. His father, Frederick IV was the ruler of Electoral Palatinate, his mother was Louise Juliana of Nassau, Frederick was related to almost all of the ruling families of the Holy Roman Empire and a number of diplomats and dignitaries attended his baptism at Amberg on 6 October 1596. In 1604, at his mothers urging, he was sent to Sedan to live in the court of his uncle Henri de La Tour dAuvergne, during his time at Sedan, Frederick was a frequent visitor to the court of Henry IV of France. His tutor was Calvinist theologian Daniel Tilenus, a professor of theology at the Academy of Sedan and these views are likely to have shaped Fredericks future policies. On 19 September 1610, Fredericks father, Frederick IV, died from extravagant living, under the terms of the Golden Bull of 1356, Fredericks closest male relative would serve as his guardian and as regent of the Palatinate until Frederick reached the age of majority. Frederick V welcomed John to Heidelberg, whereas Wolfgang William was denied entry and this led to a heated dispute among the princes of the Holy Roman Empire. 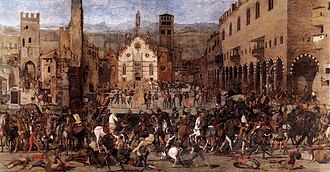 In 1613, Holy Roman Emperor intervened in the dispute, the dispute ended in 1614, when Frederick attained his eighteenth birthday. However, much bad blood among the houses was caused by this dispute, Frederick IVs marriage policy had been designed to solidify the Palatinates position within the Reformed camp in Europe. Aragon is an autonomous community in Spain, coextensive with the medieval Kingdom of Aragon. Located in northeastern Spain, the Aragonese autonomous community comprises three provinces, Huesca and Teruel, the current Statute of Autonomy declares Aragon a nationality of Spain. Aragons northern province of Huesca borders France and is positioned in the middle of the Pyrenees, within Spain, the community is flanked by Catalonia to the east and Castile–La Mancha to the south, and Castile and León, La Rioja, and Navarre to the west. Aragon is home to many rivers—most notably, the river Ebro, Spains largest river in volume and it is home to the Aneto, the highest mountain in the Pyrenees. As of 2015, the population of Aragon was 1,317,847, with more than half of it living in Zaragoza. As of 2015, half of Aragons population,50. 45%, Huesca is the only other city in the region with a population greater than 50,000. The majority of Aragonese citizens,71. 8%, live in the province of Zaragoza,17. 1% in Huesca and 11. 1% in Teruel, the population density of the region is the second lowest in Spain, only 26, 8/km2, after Castilla La Mancha. Only four cities have more than 20,000 inhabitants, Zaragoza 700,000, Huesca 50,000, Teruel 35,000 and Calatayud 20,000. Spanish is the language in most of Aragon, and it is the only official language, understood. The strip-shaped Catalan-speaking area in Aragon is often called La Franja, with such a low population density large areas of Aragon remain wild and relatively untouched. It is a land of natural contrasts, both in climate and geologically, from the green valleys and snow-capped peaks of the Pyrenees to the dry plains. Aragons Pyrenees include splendid and varied mountain landscapes with soaring peaks, deep canyons, dense forests and its rugged peaks include the Aneto, the highest in the range, the misty Monte Perdido, Perdiguero and many others. The park is one of the last sanctuaries of birds of prey in the range. Many beautiful mountain butterflies and flowers can be seen in the summer, the principal valleys in the mountains include those of Hecho, Tena and others. 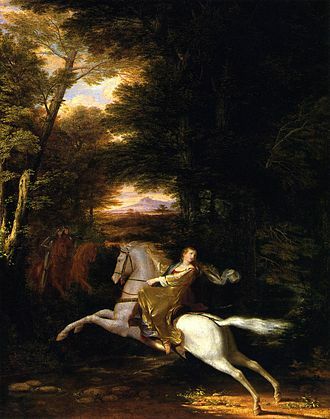 The Faerie Queene is an incomplete English epic poem by Edmund Spenser. 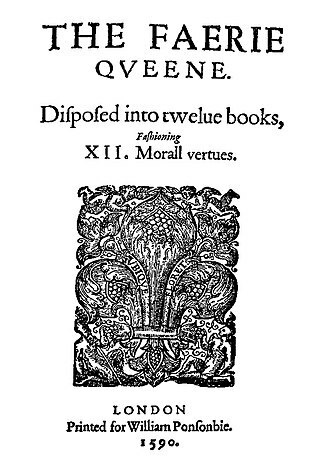 Books I to III were first published in 1590, and republished in 1596 together with books IV to VI. 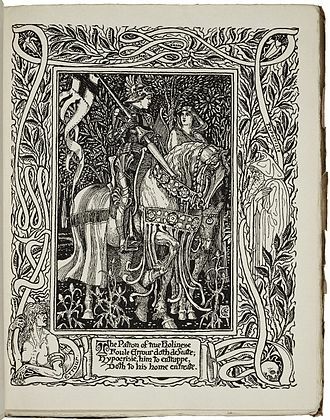 The Faerie Queene is notable for its form, it is one of the longest poems in the English language and the origin of a verse form that came to be known as Spenserian stanza. The Faerie Queene found such favor with Elizabeth I that Spenser was granted a pension for life amounting to £50 a year and this royal patronage helped the poem to such a level of success that it became Spensers defining work. Book I is centered on the virtue of Holiness as embodied in the Redcrosse Knight and he and his lady Una travel together as he fights the dragon Errour, separate as the wizard Archimago tricks the Redcrosse Knight in a dream to think that Una is unchaste. 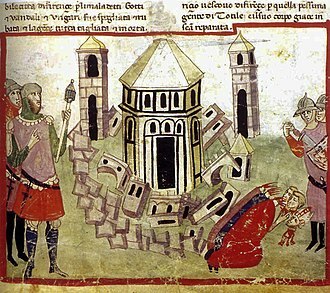 After he leaves, the Redcrosse Knight meets Duessa, who feigns distress in order to entrap him, Duessa leads the Redcrosse Knight to captivity by the giant Orgoglio. Meanwhile, Una overcomes peril, meets Arthur, and finally finds and rescues the Redcrosse Knight from his capture, from Duessa and Arthur help the Redcrosse Knight recover in the House of Holiness, there the Redcrosse Knight sees a vision of his future. 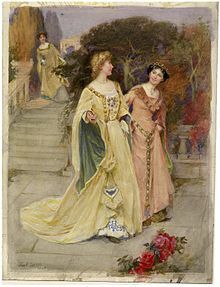 He returns Una to her parents castle, rescues them from a dragon, Book II is centred on the virtue of Temperance as embodied in Sir Guyon, who is tempted by the fleeing Archimago into nearly attacking the Redcrosse Knight. Guyon discovers a woman killing herself out of grief for having her lover tempted and bewitched by the witch Acrasia, Guyon swears a vow to avenge them and protect their child. Guyon on his quest starts and stops fighting several evil, finally, they come to Acrasias Island and the Bower of Bliss, where Guyon resists temptations to violence and lust. Guyon captures Acrasia in a net, destroys the Bower, Book III is centred on the virtue of Chastity as embodied in Britomart, a lady knight. Resting after the events of Book II, Guyon and Arthur meet Britomart and they separate as Arthur and Guyon leave to rescue Florimell, while Britomart rescues the Redcrosse Knight. Britomart reveals to the Redcrosse Knight that she is pursuing Sir Artegal because she is destined to marry him, the Redcrosse Knight defends Artegal and they meet Merlin, who explains more carefully Britomarts destiny to found the English monarchy. A masquerade ball is an event in which the participants attend in costume wearing a mask. The Bal des Ardents was held by Charles VI of France, and intended as a Bal des sauvages and it took place in celebration of the marriage of a lady-in-waiting of Charles VI of Frances queen in Paris on January 28,1393. The King and five courtiers dressed as wildmen of the woods, with costumes of flax, when they came too close to a torch, the dancers caught fire. Such costumed dances were a luxury of the ducal court of Burgundy. Masquerade balls were extended into costumed public festivities in Italy during the 16th century Renaissance and they were generally elaborate dances held for members of the upper classes, and were particularly popular in Venice. They have been associated with the tradition of the Venetian Carnival, with the fall of the Venetian Republic at the end of the 18th century, the use and tradition of masks gradually began to decline, until they disappeared altogether. They became popular throughout mainland Europe in the 17th and 18th centuries, sometimes with fatal results, gustav III of Sweden was assassinated at a masquerade ball by disgruntled nobleman Jacob Johan Anckarström, an event which Eugène Scribe and Daniel Auber turned into the opera Gustave III. The same event was the basis of Giuseppe Verdis opera A Masked Ball, most masks came from countries like Switzerland and Italy. Londons public gardens, like Vauxhall Gardens, refurbished in 1732, and Ranelagh Gardens, provided optimal outdoor settings, throughout the century, masquerade dances became popular in Colonial America. Its prominence did not go unchallenged, a significant anti-masquerade movement grew alongside the balls themselves, the anti-masquerade writers held that the events encouraged immorality and foreign influence. In the 1770s, fashionable Londoners went to the organized by Teresa Cornelys at Carlisle House in Soho Square. Masquerade balls were set as a game among the guests. The masked guests were dressed so as to be unidentifiable. This would create a type of game to see if a guest could determine each others identities and this added a humorous effect to many masquerades and enabled a more enjoyable version of typical balls. One of the most noted masquerade balls of the 20th century was held at Palazzo Labia in Venice on 3 September 1951. Dogberry is a character created by William Shakespeare for his play, Much Ado About Nothing. He is described by The Nuttall Encyclopædia as a self-satisfied night constable with a view of his own importance as the leader of a group of comically bumbling police watchmen. Dogberry is notable for his numerous malapropisms, which sometimes are referred to as dogberryisms after him, the Dogberry character was created for William Kempe, who played comic roles in Shakespeares theatre company the Lord Chamberlains Men. In the play, Dogberry is the chief of the citizen-police in Messina and he is first seen instructing his constables on their duties. He tells them that its fine to sleep on duty. During their watch the constables overhear a conversation between two characters and Conrade, one of whom has been part of Don Johns plot to discredit Hero. They misunderstand the conversation and arrest the two on the spot for acts of treason because they called the Princes brother Don John a villain. They are brought before the governor Leonato, who is at a loss to understand Dogberrys nonsensical description of the supposed crimes, but allows Dogberry to examine them. His absurd pseudo-legal rhetoric confuses matters even more, but when the Prince arrives at the truth about Don John, the plot is revealed, Dogberry is rewarded for his diligence and leaves. As is usual in Shakespearean comedy, and Renaissance comedy generally, the humour of Dogberrys character is his frequent use of malapropism, a product of his pretentiousness, as he attempts to use sophisticated terminology with disastrous results. The name of the character is the Elizabethan common name for the fruit of the Common Dogwood, considered lowly and inferior to other edible berries. Dogberry and his crew, are given a thematic function, for it is they who uncover the plot of Don John. In that sense, Dogberrys comic ineptitude is made to serve the sense of a providential force overseeing the restoration of social and emotional order. 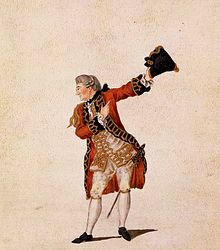 According to historian John W. Indeed, the Queens own jester, was taken into custody for being on the streets after ten. Indeed, that would be the basis for arresting Boraccio and Conrade, Though they do not say so. 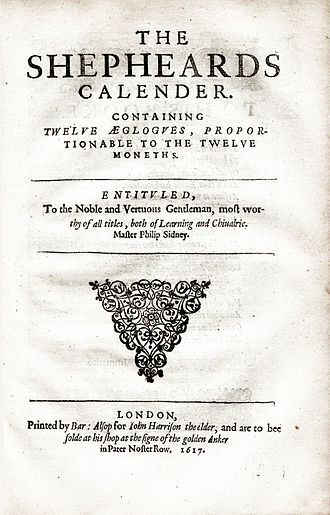 Title page of the first impression (1623). 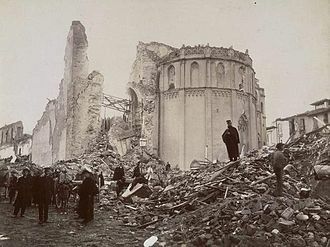 An image of the 1908 Messina earthquake aftermath. Unexecuted Beaux-Arts plan for the reconstruction of the port, 1909. Peter III depicted in the contemporary Florentine Nuova Cronica by Giovanni Villani. Peter's fleet landing at Trapani, Sicily. The king is depicted directing the landing, second from left in the upper boat, wearing the crown and a red tunic, next to his wife Constance, rightful heir of Manfred of Sicily. Nuova cronica. f.127r (1.VIII,69) ms. Chigiano L VIII 296. 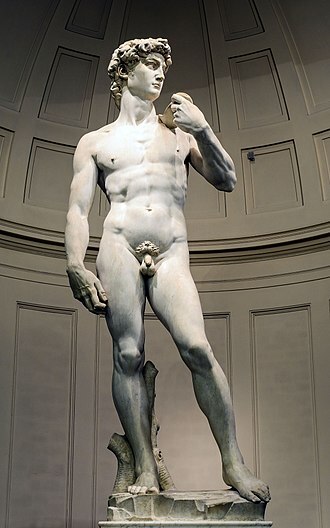 His statue at the Royal Palace (Naples). Memorial statue and park, Ferrara. Frederick wearing the Crown of Saint Wenceslas, other Bohemian regalia and the collar of the Order of the Garter. On the table is the Cap representing his separate office as Elector Palatine. Painted by Gerrit von Honthorst in 1634. Heidelberg Castle and the Hortus Palatinus commissioned by Frederick, and designed by English architect Inigo Jones (1573–1652) and French engineer Salomon de Caus (1576–1626). Frederick's chancellor Christian I, Prince of Anhalt-Bernburg (1568–1630). 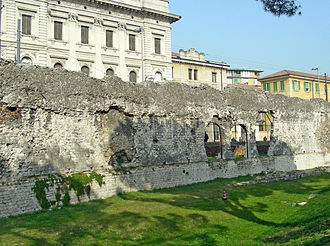 Ruins of a temple at Solunto. The Roman amphitheatre of Syracuse. A Venziana mask from Verona, Italy. Masquerade ball at Château de Hattonchâtel, France. 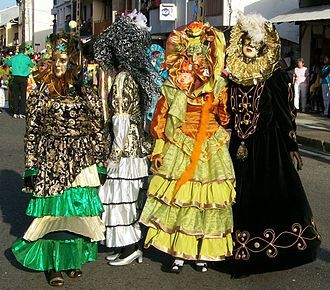 Touloulous in the Cayenne streets in 2007. 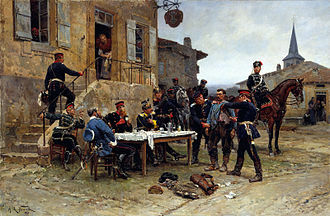 French spy captured during the Franco-Prussian War. Title page of the second folio (1632), this copy with a certificate of a censor for the Inquisition.